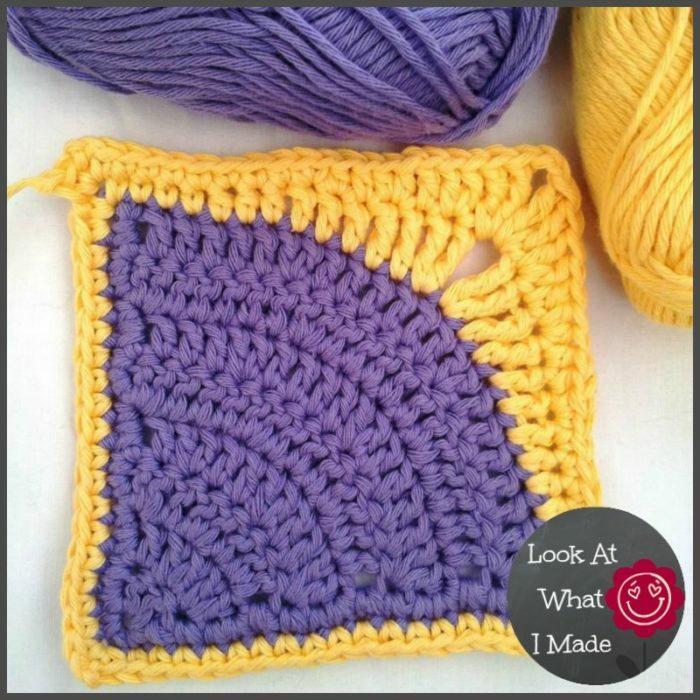 I am so excited to share the crochet pattern for these Iced Pie Squares with you. A huge “Thank YOU! 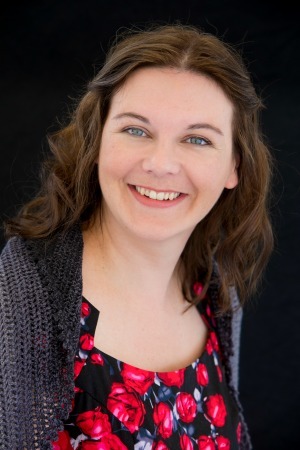 !” to Pam Perkins, Venetia Smith and Beth Spaulding for testing the pattern for me. I appreciate your friendship, help and constructive feedback. Beth and Aunty V, thank you for letting me use your photos! These simple quarter-circles-in-a-square are very basic, but basic is not necessarily a bad thing. Using double knit yarn or light worsted weight yarn and a 4 mm crochet hook, each square will be roughly 10 cm (4”) across. 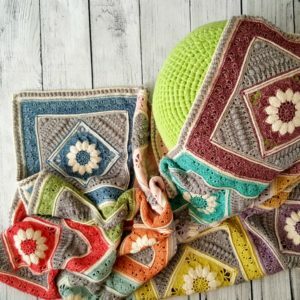 As an aid to planning any blanket you might wish to make with these squares, you can find blank templates for a bunch of different layouts at the end of this post. 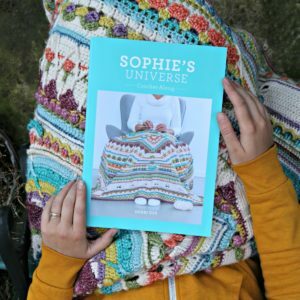 If you are after the PDF version of the pattern, it lives in my Ravelry Store and contains the pattern and chart below as well as a written-only pattern. 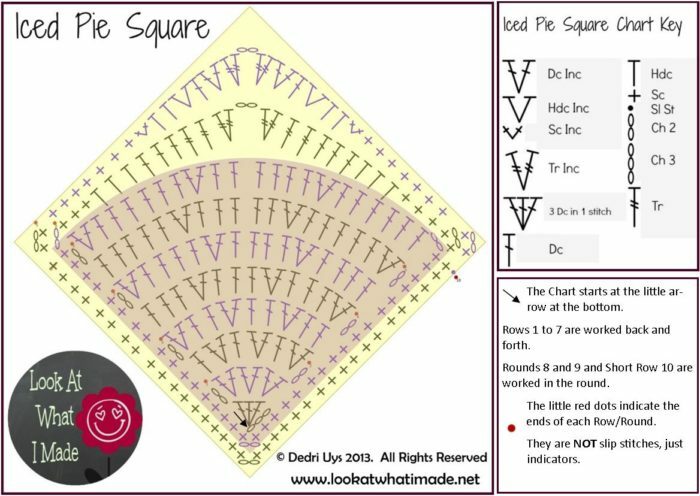 It does not, however include the blank templates (found below) or instructions for joining the squares to each other (link below). 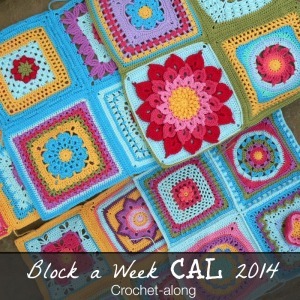 You are welcome to make as many or as few of these blocks as you wish. Should you wish to sell some Iced Pie Blankets, be my guest. All I ask is that you credit me as the designer as and when you make anything using this pattern (even if you alter it). 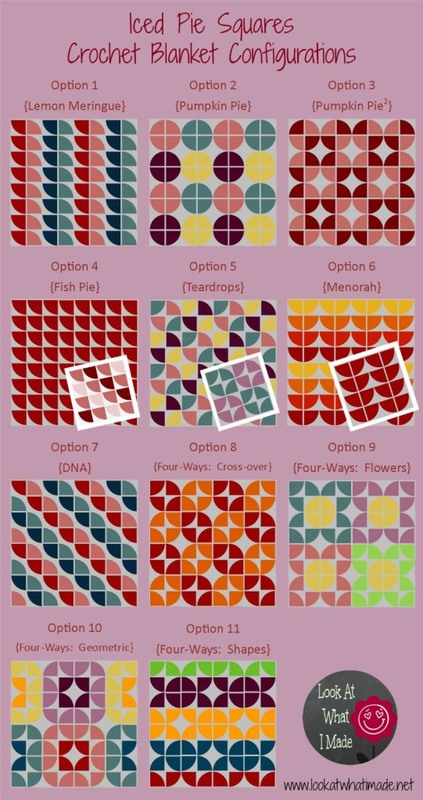 You may in no way copy or reproduce the actual pattern. 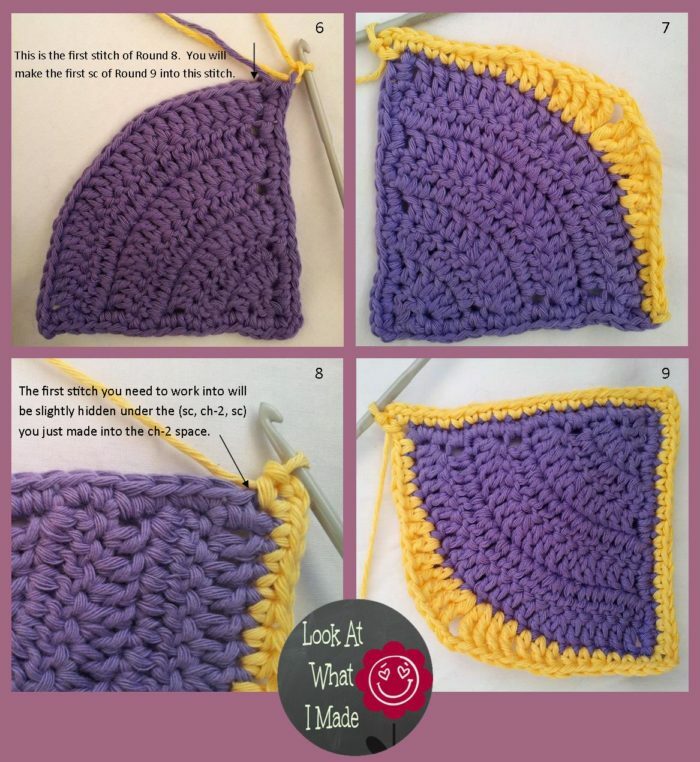 Dc inc Double Crochet Increase – work 2 dc’s in the same stitch. 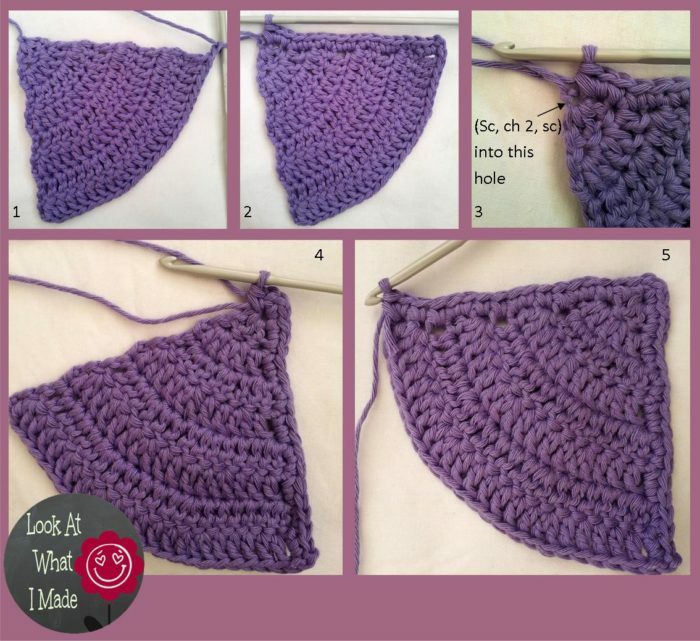 Hdc inc Half-double Crochet Increase – work 2 hdc’s in the same stitch. 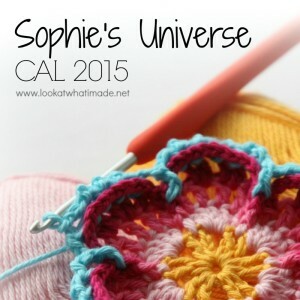 Sc inc Single Crochet Increase – work 2 sc’s in the same stitch. 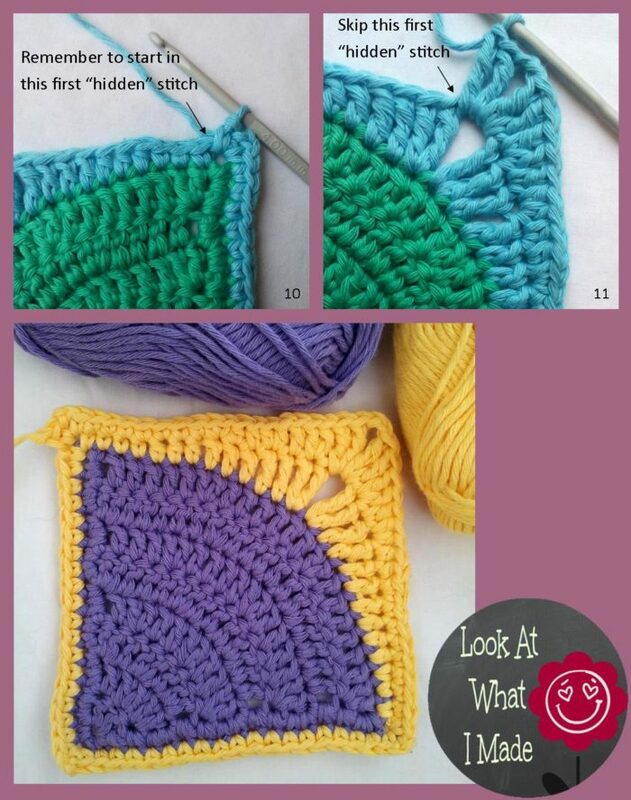 Tr inc Treble Crochet Increase – work 2 tr’s in the same stitch. * Repeat instructions between asterisks the number of times indicated. *Dc inc, dc* x 3, for example, will mean dc inc, dc, dc inc, dc, dc inc, dc. Please note: the initial ch-2 in each of the first 8 rows/rounds does NOT count as a dc. The resulting square will have 84 st’s around the outside edge (including the ch st’s, but NOT the sl st). Each side will therefore have 21 st’s (including the ch st’s). 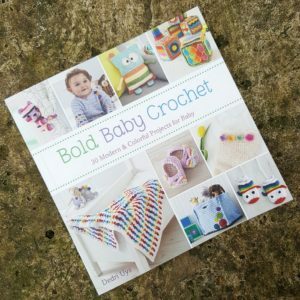 Each of these layout options will yield a blanket that consists of 64 squares and is 80 cm x 80 cm (31.5” x 31.5”), providing you use the hook and yarn specified. Needless to say, if you use a worsted weight yarn and a slightly bigger hook, your blanket will be bigger. 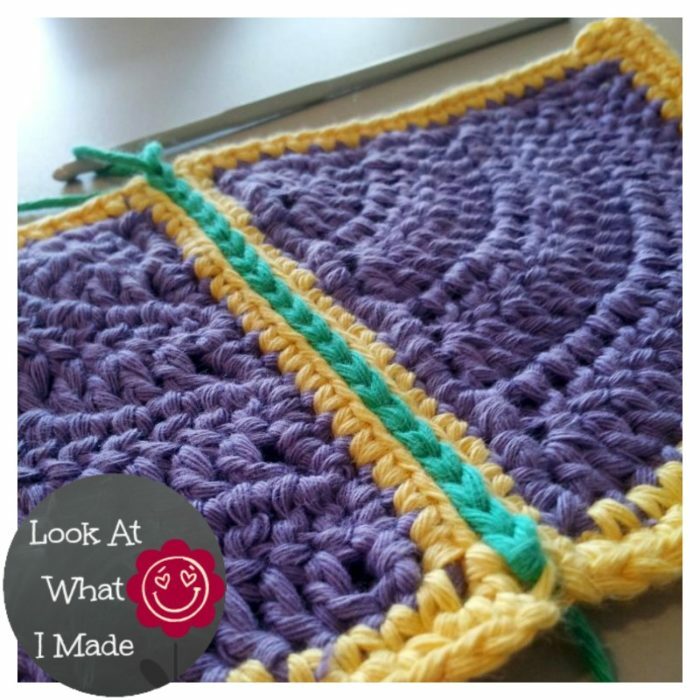 If you want to make a BIG blanket, simply add more pattern repeats. 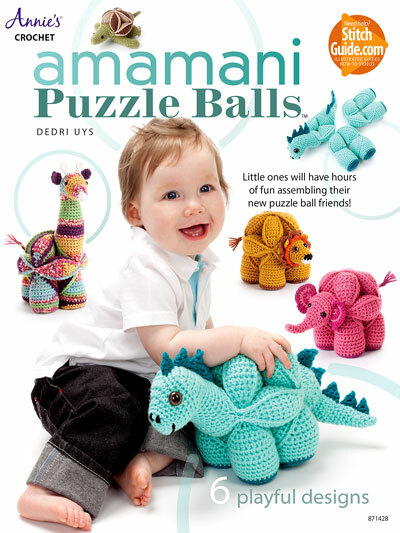 You can find a list of common afghan sizes here. You can find the blank templates for each of the layouts here. It is in PDF format. Simply print out the template you wish to use and colour in to your heart’s content. When you join these squares, start and end in the corner chain stitch closest to the side you are joining. You can find a tutorial for the “zipper” method here. It yields a completely flat slip stitch seam. Yikes! What a lengthy post for such a simple little square. You deserve a glass of wine if you have managed to sit through all of that without nodding off. 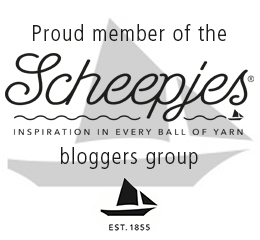 Feel free to share your latest projects there, or just head over for some inspiration. Going to try it as a rainbow square. Row 1-2 in violet, row 3 blue, row 4 indigo, row 5 green, row 6 yellow, row 7 orange, and row 8 in red and white around the outside. I think that would look lovely! 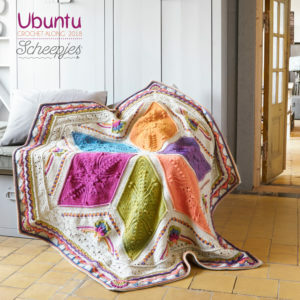 Oh my goodness, this looks so beautiful I can’t wait to make one. Thank you so much for sharing. Happy crocheting. Thanks for this! I just finished an afghan made with this square. My family LOVES this pattern. All my mom’s grandchildren have one. Net ‘n plesier, Stacey. Het jy enige fotos? Ek het seker not net 2 projekte met die vierkantjies gesien en ek sal vreeslik graag julle s’n wil sien. This square is awesome, Dedri!! 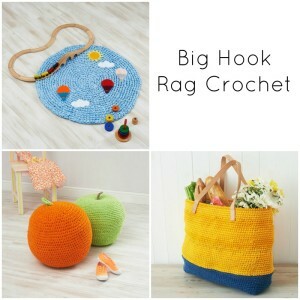 I love all the different designs you can make with it! Uiteindelik het ek ook een reggekry, Dedri. Jou instruksies is ongelooflik deeglik. Dankie! Ek het nie eens eén maal verkeerd gehaak nie. 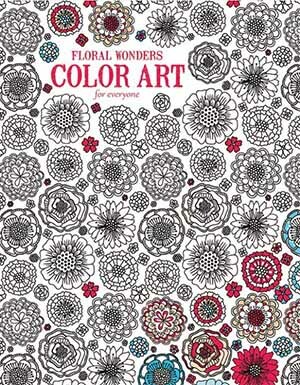 Hi and wow this is beautiful and I love the design and colors you chose! I saw it on link & share wed. 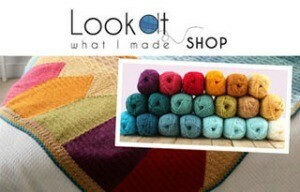 Going to give this a try in the DNA configuration for a baby blanket. What better way than to cover your baby in actual DNA? Can’t wait to finish a couple of other projects and give this a whirl. you are SO SMART! i LOVE this! thank you!